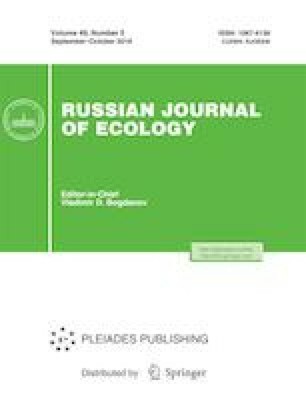 To assess the stability of individual development of the pygmy wood mouse (Apodemus uralensis) in mountain areas with different ecogeographic conditions, the levels of fluctuating asymmetry in a series of skull phenes have been evaluated in ten samples from the Western and Central Caucasus. Attention has been focused on the influence of change in environmental conditions along the elevational gradient and the impact of some anthropogenic factors. An increase in the index of fluctuation asymmetry FAnm has been revealed in samples from populations exposed to pollutants and, in the absence of pollution, from areas where the average annual temperature drops below 5°С (mid-mountain regions). Instability of skull development observed in A. uralensis from the foothills of the Western Caucasus may be a consequence of competitive relationships with the Black Sea field mouse A. ponticus, a sympatric species that inhabits the same biotopes as does A. uralensis but numerically prevails over it. Original Russian Text © F.A. Tembotova, A.Kh. Amshokova, 2018, published in Ekologiya, 2018, No. 5, pp. 355–361. Vasil’ev, A.G., PHEN 3.0 Applications Software Package. https://doi.org/ecoinf.uran.ru.